Jeremy Parzen is an old friend. I have a great respect for his wine knowledge and I enjoy reading his erudite blog http://dobianchi.com/.Jeremy is now the official spokesperson for Franciacorta sparkling wine and wants everyone to know the real story. 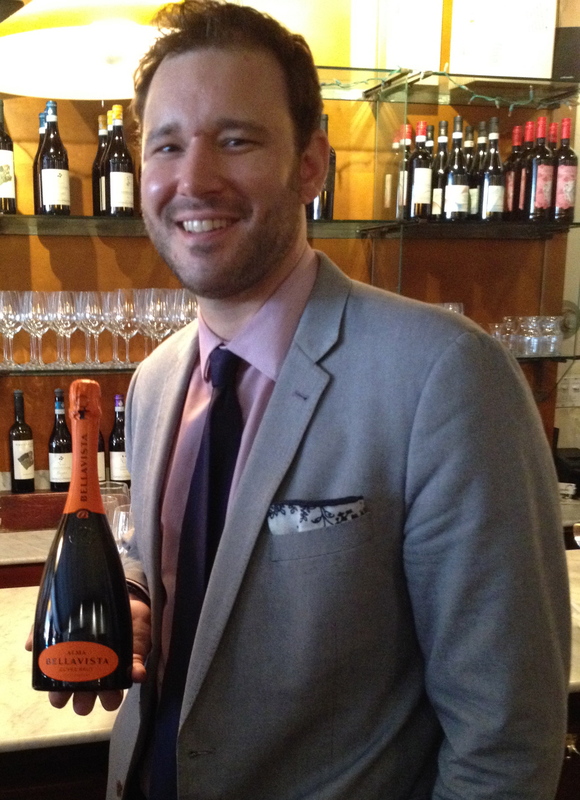 Jeremy explained that Franciacorta is a small wine-producing area in Northern Italy noted for its sparkling wines. The Franciacorta wine region is located in the hills immediately southeast of the foot of Lake Iseo in the province of Brescia in the Lombardy region. Roughly square in shape, it stretches eastwards for 15 miles (25km) from the Oglio River (which flows out from the lake) until reaching the Mella River valley and the western suburbs of the city of Brescia. Franciacorta is reserved for wines obtained exclusively with re-fermentation in bottle and the separation of sediment by way of disgorgement. They must be produced in accordance with the appellation’s production regulations. 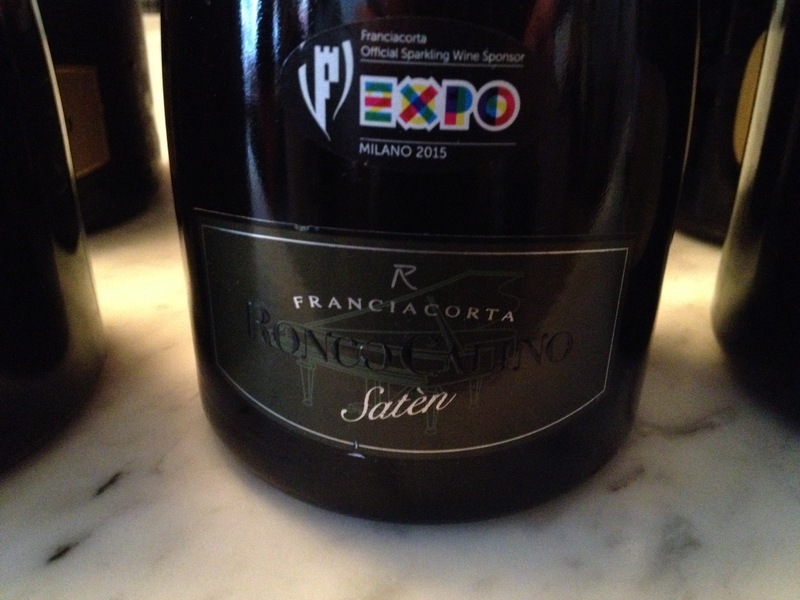 Franciacorta – must be made from Chardonnay and Pinot Noir as well as a maximum of 50% Pinot Blanc. The base wine for the production of Franciacorta may be obtained from a blend of different vintages. Minimum of 18 months on the lees. Franciacorta Saten – Pinot Noir is not allowed in the Satén No more than 20 grams/liter of sugar may be added to the wine in causing the second fermentation/final dosage. Minimum of 24 months on the lees. Saten Rose is a minimum of 30 days and Saten riserva is a minimum of 60 days. Jeremy said that Satèn in Franciacorta has less pressure than most sparkling wine with 4.5 atmospheres of pressure instead of the traditional 6. This gives the wine more elegant bubbles, a more delicate mousse and a softer mouth feel. He did not compare Franciatora to Champagne but showed how they were different. The climate and soil where the grapes are grown are different, as are some of the grapes that are used. He added that in Champagne more sugar is added to the wine. In Franciacorta most of the production is organic. In fact he said in the near future every producer in the consortium would be organic. Champagne has a long history while Franciacorta has been in production for around 50 years. 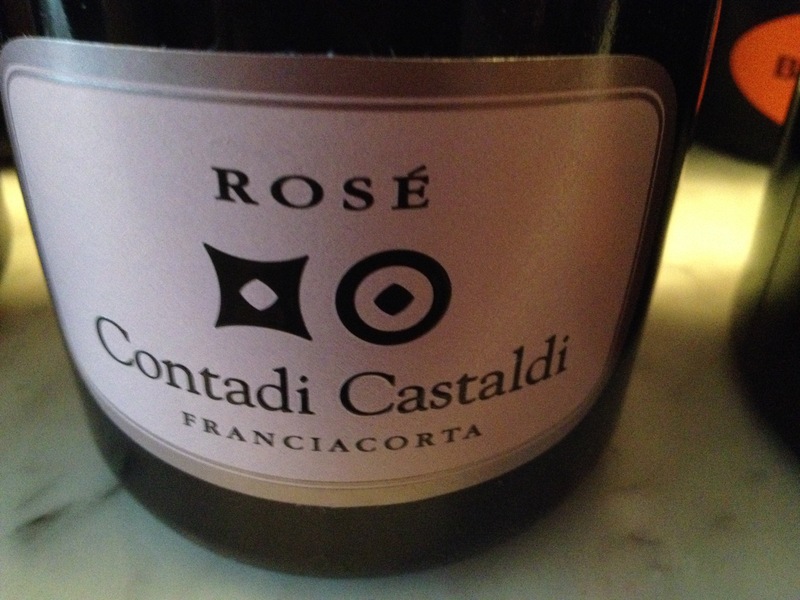 Franciacorta Rosè – minimum of 25% Pinot Noir and minimum of 24 days on lees. Millesimato minimum of 30 days on lees. Riserva minimum of 60 days on lees. Franciacorta millesimato (vintage dated) must be produced using at least 85% of wine from the stated vintage. 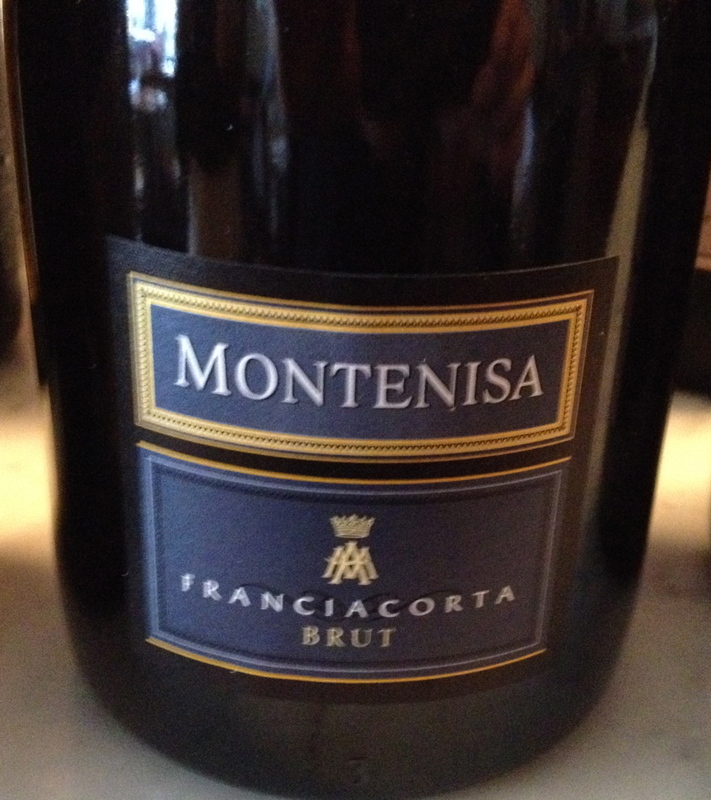 Franciacorta riserva — minimum of 60 days on the lees. Franciacorta must be disgorged manually or mechanically and filtration is not allowed. 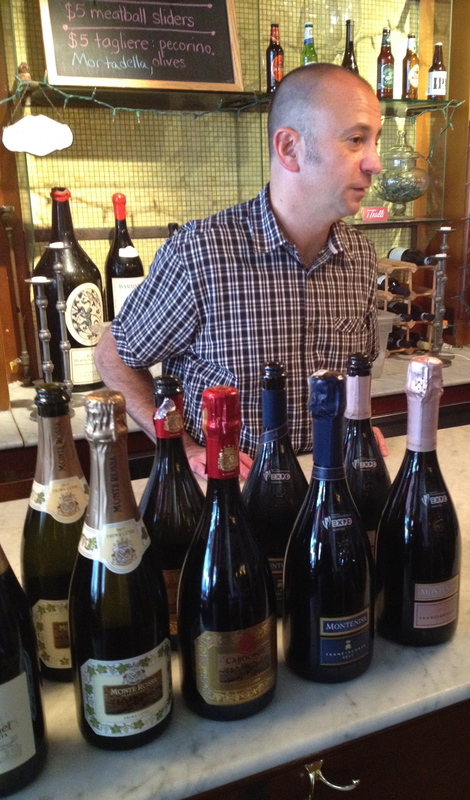 Jeremy said there are 109 members of the Franciacorta consortium and they account for 94% of the total production. Franciacorta is the largest selling sparkling wine in Italy made by the Methodo Classico. There were 8 wineries represented with two wines from each winery. 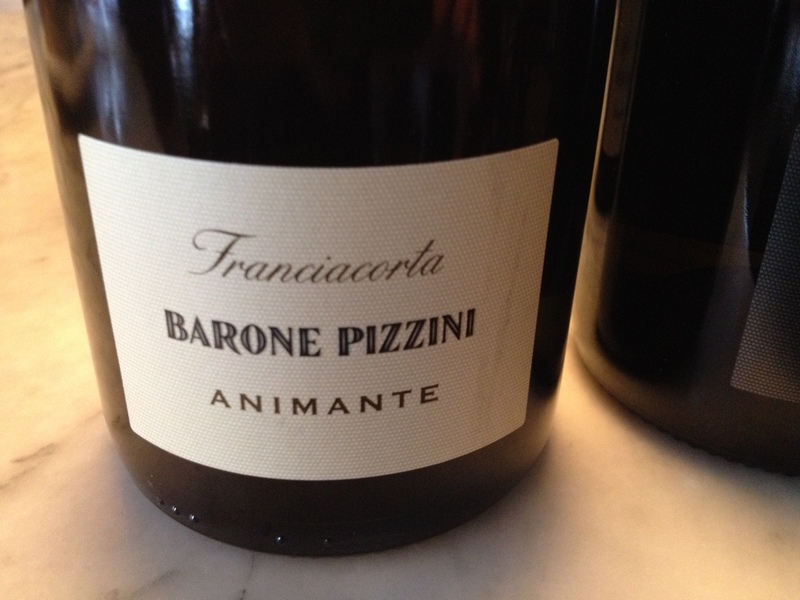 Barone Pizzini Brut”Animante” 78% Chardonnay 18% Pinot Noir 4% Pinot White. The winery is certified organic and states on the label “organic wine”. There are 5,000/6,250 plants per hectare. Soft pressing and fermentation in thermo steel tanks. The wine ages for 6 months in stainless steel tanks and bottle aging is on the lees for 20/30 months. The wine has citrus notes with hints of honey, apricot and dried fruit. Barone Pizzini Satèn 100% Chardonnay. The soil type is Moraine and the training system is guyot. Soft pressing of the grapes and fermentation is thermo steel tanks. The wine is aged for 6 months in steel barrels and remains on the lees for 30/40 months. Residual sugar is 6g/l. The wine has citrus notes and nice minerality. Il Mosnel Brut 60% Chardonnay, 10% Pinot Noir and 5% Pinot Blanc. Half of the Chardonnay is fermented in small oak barrels and half from a different vintage is fermented in steel. The Pinot Noir and Pinot Blanc are fermented in steel. Each bottle is given the liqueur de triage and laid down for the second fermentation. After a minimum of 18 months on the lees, the wine is riddled to concentrate the sediment against the cap, disgorged and re-corked. The wine has hints of white flowers and peach and a touch of almonds in the finish. 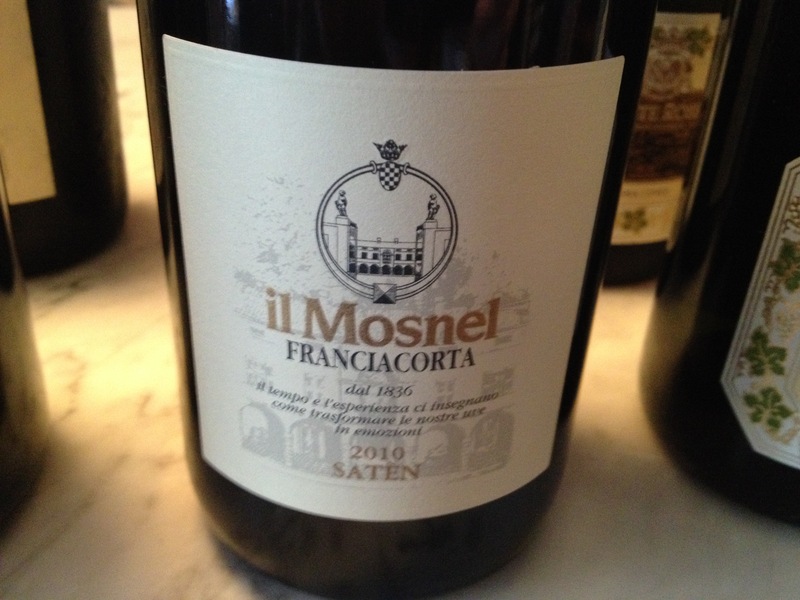 Il Mosnel Satèn 2010 100% Chardonnay, 60% fermented in steel and the rest in small oak barrels. In spring it is given the liqueur de triage and laid down for the second fermentation. Less sugar in the liqueur makes the mousse less forceful. After a minimum of 30 months on the lees, the wine is riddled. This is a silky, fruity full-bodied wine. The residual sugar is 8g/l. Organic farming. Monte Rossa Brut 85% Pinot Chardonnay, 10% Pinot Noir and 5% Pinot Blanc. Soft pressing of the best grapes with no more than 55% of the total yield. Partially fermented in steel tubs at a controlled temperature and partially fermented in oak barrels. The wine has strawberry aromas and flavors with an undertone of brioches with added to depth to the wine. 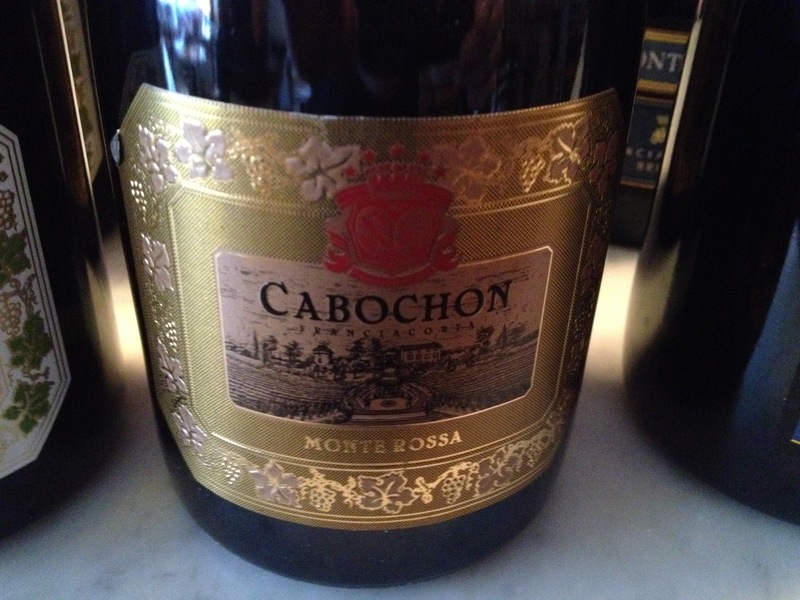 Monte Rossa Cabochon 2009 70 % Chardonnay and 30% Pinot Noir. There is a soft pressing of the grapes and selecting the best grapes for no more than 58% of the total yield. Fermentation is in first and second passage barriques between September and February. The wine is aged on the lees for 48 months. The bottles are not sold until at least 4 months after the dègorgeage. The wine has citrus aromas and flavors with more than hints of brioches which gave it much more depth. Montenisa Brut Chardonnay, Pinot Blanc and a small amount of Pinot Noir. The first fermentation takes place partly in stainless steel vats and partly in barriques. The second fermentation is in the bottle with at least 30 months contact on the yeast. The remuage is carried out by hand according to ancient tradition, using typical pupitres (trestle tables). After the degorgement the bottles remain in the cellars fro 3 months before release. The wine has hints of peaches and apples and a hint of yeast. The winery is partly owned by Marchese Antinori. Montenisa Rosè 100% Pinot Noir. In the early spring, following alcoholic fermentation partly in stainless steel vats and in barriques, the wine underwent a second fermentation in the bottle and remains in contact with the yeast for at least 24 months. Remuage is by hand. After degorgement the bottles were laid down for at least 3 months before release. The wine is full bodied with hints of strawberry and cherry. 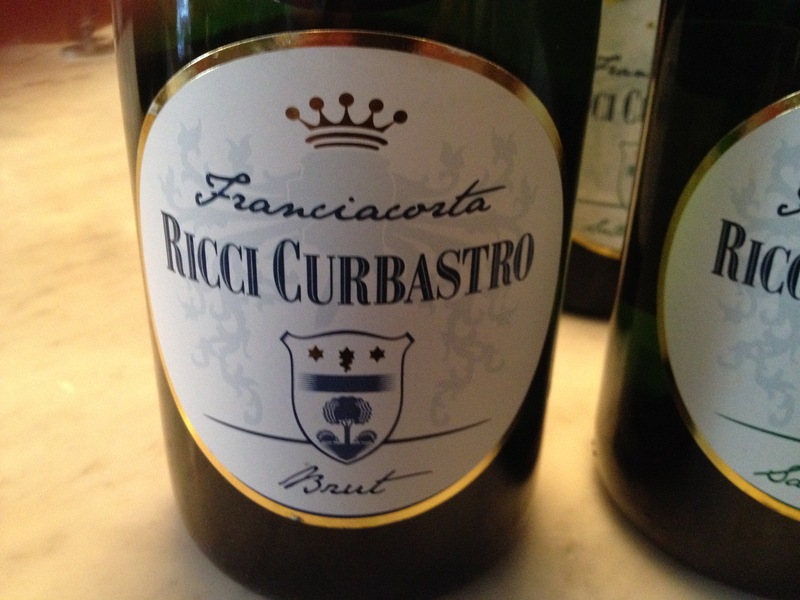 Ricci Curbastro Brut 60% Chardonnay, 30% Pinot Blanc and 10% Pinot Noir. Temperature controlled fermentation in stainless steel tanks, followed in spring by the draft with the beginning of a slow second fermentation in the bottle. The bottles remain in the stack for at least 30 months (total of 38 from the harvest) contact and autolysis of the yeast. After disgorgement, with the addition of liqueur di triage(very dry) 8g/l,the wine remains in the cellar for a few months before release. This is a dry elegant fruity wine with floral hints and a touch of baked bread. Ricci Curbastro Satén 100% Chardonnay fermented in oak barrels. The bottles remain in the stack for at least 40 months (total 48 from the harvest). There is an addition of liqueur very dry 7g/l. The wine remains in the cellar a few months before release. It is an elegant wine with fruity notes, a hint of spice and a touch of toasted almond. Ronco Calino Brut 80% Chardonnay and 20% Pinot Noir from Burgundy clones. The training system is guyot and spurred cordon and there are about 6,000 vines per hectare. Harvest is by hand and there is a manual selection of clusters before pressing which occurs in the first week of September. There is a soft pressing of the entire grape cluster and initial fermentation in thermo-conditioned stainless steel tanks and 20% in French oak barrels. At least 24 months on the lees before disgorging. The wine has hints of pear, cherries and candied orange peel with a touch of spice. Ronco Calino Satèn 100% Chardonnay. There are about 6,000 to 8,000 plants per hectare. Harvest is by hand the third week of August. Soft pressing of the grapes, fermentation in stainless steel. 30% is aged in French oak barriques. There is a low percentage of liqueur de triage. The wine has hints of pear, peach and cherry and a touch of brioches. Contaldi Castaldi Brut NV 80% Chardonnay 10% Pinot Blanc and 10% Pinot Noir training system guyot and casarsa (a variation of guyot). There are 3,000 /5000 plants per hectare and the average age of the vines is 15 years. Harvest takes place in August and early September. There is a soft pressing and a cold settling followed by an inoculation of selected yeast. Fermentation is in stainless steel for 20 days and there is partial malolactic fermentation. First aging is for 7 months in steel and barriques. The wine spends 20/25 months on the lees. It has floral notes with hints of lime and peach. Contaldi Castaldi Rosè NV 65% Chardonnay and 35% Pinot Noir. Training system is guyot and there are 5,000 plants per hectare. The average age of the vines is 15 years. There is a soft pressing of the grapes after a cold maceration of about 3/4 hours. Cold settling, inoculation with selected yeasts and fermentation for 20 days is stainless steel. There is partial malolactic fermentation. First aging is for 7 months in stainless steel and bariques. The wine ages for 24/30 months on the less. Disgorgement is in July. The wine remains in the bottle for 3/4 months before release. The wine has hints of wild berries, apple and tropical fruit. Bellavista “Alma” Cuveè Brut Jonathan said that alma means soul in Latin and this wine reflects the soul of Franciacorta and Bellavista. The symbol of this wine is the butterfly because it represents harmony and balance, nature at its purest, transformation and rebirth. Made from 80% Chardonnay and 19% Pinot Nero and 1% Pinot Blanc. The balance comes from 30 different selections from over 100 vineyards. Most of the wine is fermented and matures in 228 litter oak barrels for 7 months. The wine consists of at least 6 to 9 older vintages. This is a wine with a depth of flavor with hints of apple, pears and white flowers. 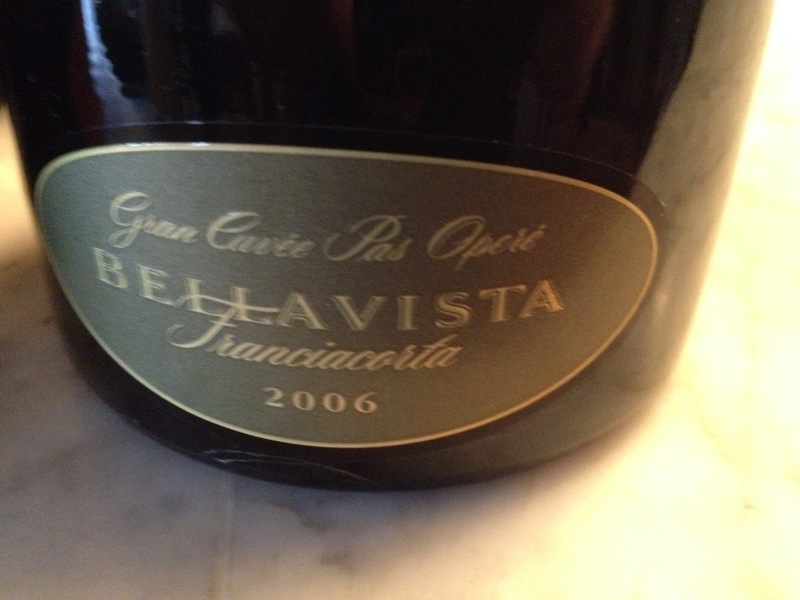 Bellavista Franciacorta Gran Cuvèe Pas Operè 2006 made from 65% Chardonnay and 35% Pinot Noir. The grapes for this wine come from the most vigorous selection of grapes from vineyards that are over 20 years old with an east and southeast exposure. Most of the must is fermented in small oak barrels. The wine is aged for 6 years before release. This is a full-bodied wine with hints of honey, apple and herbs. Jonathan said that in 2007 this wine not only changed its label but its name, to Bellavista Pas Opèrè.